It’s the first question you really have to think about if teaching English abroad is on your radar. There are a lot of options! Asia has great appeal for many people. High salaries, strong demand and a low cost of living are just a few factors that make Asia stand out to English teachers, so make sure that you put these five locations on your list of places to check out! Over the last decade, Vietnam has emerged as one of the most popular teach abroad destinations in the world. With one of the fastest growing economies on earth, opportunity abounds in both major urban centers like Hanoi and Ho Chi Minh, as well as more rural destinations throughout the country. 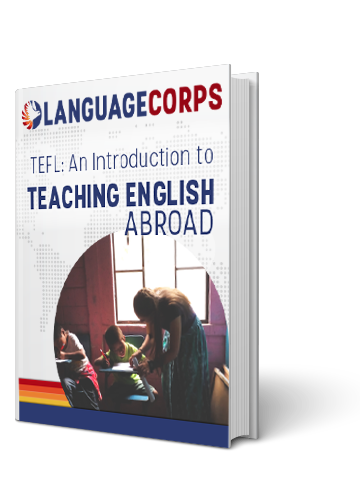 And with a consistently low cost of living, English teachers in the region can live a comfortable (even luxurious) lifestyle, while still setting aside enough money to travel extensively. But Vietnam’s fascinating culture and beautiful scenery are equally appealing to prospective English teachers, and it’s become an increasingly popular tourist destination for everyone from backpackers to retirees. Grab some Pho at the night market in Ho Chi Minh, lounge on the beautiful beaches of Nha Trang, or bask in the wonder of Ha Long Bay. You really can’t go wrong in Vietnam. Click here for more info about teaching English in Vietnam. This small coastal country is often overlooked by world travelers, but it’s really a must visit destination in Southeast Asia. While it’s becoming more “Westernized” every day, Cambodia is still a lot less developed than Thailand or Vietnam, making it easier to experience life in Southeast Asia while avoiding overwhelming tourism. Phnom Penh is the largest city, and many teachers stick around there to take advantage of the strong job market, but there is still plenty of opportunity to escape urban life if that’s what you’re into. You’ll be a days bus ride away from Thailand, Vietnam or Laos, as well as the must see temples of Angkor Wat (and the nightlife in Siem Reap). Hiring practices and visa requirements are more lax in Cambodia than in the rest of Asia, so it’s pretty easy to get up and running there. But if you’re easily frustrated by a slower pace of life, you might want to consider other locations. But even if you don’t stay in Cambodia to teach, it is more than worth a couple weeks visit! Home to Bangkok, Thailand should be at the top of anyone’s list of travel destinations. So, it’s no surprise that the “land of smiles” is also a massively popular location for people interested in teaching English abroad. You could spend a lifetime in Bangkok alone and never run out of things to do, but Thailand is also known for some of the most serene beaches in the world, fascinating historical and cultural traditions, and of course, delicious local cuisine. It almost goes without saying that it’s a great place to visit for any traveler, but the good news is that you can also make some money teaching English in Thailand! Demand is always strong in Bangkok, but you’ll also find opportunity in less populace locations like Ko Chang, Pattaya and Chonburi. Teachers in Thailand are typically able to comfortably cover their month to month expenses with money leftover for savings, so traveling around the region during vacation time should be more than feasible. Click here for more information about Teaching English in Thailand! With the fastest growing economy in the world, there has never been a better time to live and work in China. Learning English is a requirement for most citizens, and demand for teachers is always strong. Visa requirements and hiring practices tend to be pretty particular when compared with other locations, so you’ll want to try to plan in advance and ensure you have enough time to prepare, but get ready for the experience of a lifetime once you put all the pieces in place! From urban living to rain forests, oceans and magnificent temples, seeing everything China has to offer is impossible, but that shouldn’t stop you from trying. LanguageCorps offers a unique TeachChina program that combines TESOL training and certification in Cambodia with a year long job placement in China, combining the best of both worlds and creating a truly once in a lifetime experience. And with China taking on an increasingly important role in the global economy, having work experience in this vast and diverse market is a definite plus on any resume. Click here for more information about teaching English in China!